Are you running multiple stand alone installations of WordPress sites for either yourself or clients? Sick of having to log into each site every time there is a core update or plugin/theme update to apply? Then multisite may be your answer. I don’t proclaim to be a multisite (or even a WordPress) expert (yet! ); I have used WordPress in various forms over the years, but it’s only been the last 12 months that I have become a bit more knowledgeable in the software. The following is based on my own discoveries, and some things may be able to be changed with additional functionality or extra plugins. Feel free to set me straight in the comments! 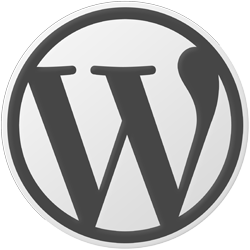 Simply put, it’s a single installation of the WordPress software which allows to you run as many WordPress sites as your server can handle. However, it’s not for the novice; there are several setup steps that need to occur to enable multisite, and you need to evaluate to see if it’s the right solution for you. Although there are detailed setup instructions on the WordPress Codex, they neglect to cover off the pros and cons of running multisite, and some of the features (or nuances depending on what you want to achieve) of running a multisite installation. If you are running a version of WordPress prior to 3.x, I strongly suggest upgrading to the latest version. You can run multisite on a version less than 3.x by using WordPress MU, but as of version 3, multisite is built into the WordPress core. It’s not enabled by default, and it’s not as simple as ticking an ‘enable multisite’ check box. And once you have enabled it (and created sites) it’s near impossible to go back to a single site installation, without starting from scratch. Why should I run multisite over stand alone installations? The main advantage of running a multisite installation is ease of administration and support. You only have one set of files on your webserver. You only have one MySQL database to maintain, which means if you backup your MySQL WordPress database, all your sites are backed up at once. You can update all of your sites at once from the network admin panel the same as you would a stand alone site. Likewise you can update all the plugins and themes from the network admin screen. One super admin user logon for all your sites. On a new install, you can choose between subdomain installations (ie http://newsite.yourdomain.com) or subdirectory installations (ie http://www.yourdomain.com/newsite). You can even point multiple domains to the same site (in fact you need to add www.example.com and example.com into the mapping configuration). WordPress 3.1 makes multisite just that much better with a new top menu and network admin panel. Wow, that sounds good, anything that might trip me up? Now, for the tricky stuff that unless you do your research or build up a development site, you won’t find out until its too late! You can upgrade any existing WordPress 3.x site to multisite – but if it’s more than a month old, you can only use subdomain sites (refer to the codex for more details). Migrating several existing sites into one multisite installation will be time consuming and manual. There are some good instructions on the codex on how to achieve it, but basically you have to export all posts/pages/comments, import into the new multisite, and then reconfigure all the plugin and theme settings. This will take time for a complex site, and is prone to human error. Plugins can be an issue if they don’t support multisite. Every plugin is different, and you won’t know if it works until you try it (or someone comments on the plugin forum). A well written professional plugin shouldn’t be an issue, a simple small plugin should be ok as well. I have had issues with sitemap generators (well, it works just fine – but generates the wrong domain when using the domain mapping plugin. IE the actual domain for this blog is blog.42psi.com – but the domain I have mapped to it is www.thekeyboardtickler.com. The site map generator does not talk to the domain mapping plugin (and why should it?) so generates a site map on the blog.42psi.com domain, which I don’t really want in the sitemap for SEO reasons). There is a new role called super-administrators, and this lets you do anything across all sites. Then each site can have an normal administrator user specific to that individual site. When logged in as a normal administrator, it appears as any stand alone admin panel would, and there is no access to any other site – (which is a good thing!). It’s similar for themes. Only the super administrator can upload new themes. You can however choose if the theme is available to all sites, or just one or two sites. If you have a theme template which is used across multiple sites, and need to customise just one of those sites, you’ll need to copy it to a new theme folder. Not really a major, but you will end up with multiple versions of the same theme in your installation. If you are using subdomains rather than subdirectories, you’ll need to set up subdomains in your DNS management software. Again, not a major, but something to consider. For mapping multiple domains to one site, there is a global setting (for all sites) to determine if a primary domain is set. If the primary domain is set, then all other domains mapped to that site will redirect to the primary site, if it’s not set then it will retain the secondary domain entered. Giving WordPress its own directory will not work in WordPress 3.0 with multisite enabled. If your do an upgrade and it goes wrong, all your sites go wrong, not just one. This is where backups really come into their own! I had this happen once, took just five minutes to restore the database and start all over again, total down time was around 15 minutes. Again if your hosting or server fails, all your sites will go down. I haven’t played with taking single sites offline, but you can mark any site as ‘deleted’ or ‘archived’ (but it’s still there in the database to turn on again when you want). There seems to be plugin’s for everything these days, so there must be one for marking individual sites into maintenance mode or custom landing pages etc if you need to do this sort of stuff. Again, their may be plugins for this, but if you want to move a site out (ie client leaves and takes their site with them) you only get the out of the box WordPress export tools. All plugin settings etc have to be manually copied over (just as you did when importing them. If you have a lot of domains, the domain mapping screen can get quite large. Remember you need to add in both www and non www versions of each domain. So, what’s the verdict? Multisite or stand alone installations? I can’t really make that decision for you, but taking the above points into consideration you will hopefully be in a better position to decide for yourself. If you are a one shop band and manage all your existing sites yourself, then its pretty much a no brainer and multisite is the way to go. If you have a handful of ‘template’ clients and you do all their content and site administration for them I think multisite would be a good choice. Even if you let clients do their own authoring and content editing, then you can assign them author roles in their own sites, and they can do what they want to their own site. If clients want full control to edit theme files and plugin’s etc, then multisite is not a good choice as they could change or break things that affects other sites using the same files. And if you have custom plugins, these will be visible to all users, which may not be ideal. If you already have an established base of client sites, it’s going to be a slow job migrating them into multisite – but you don’t have to do them all at the same time. Remember, WordPress.com runs on multisite, so it’s a pretty scalable solution. I think they have a couple of blogs running there, and maybe more than one server to run it off. Ill look at writing a follow up post detailing an actual multisite installation. Excellent work Aaron, thanks for laying all those options out there. I think I’ll stick with individual websites and wait for a plugin that logs in to all my websites and does the plugin updates for me! I was looking at multisite because I wanted it to be easier to maintain my various WordPress sites. Reading the Codex I became confused though, because they never mention this as a benefit. Instead they focus on end users being able to “create their own sites on demand”, which is a more esoteric use IMO. Thanks for focusing on the maintainability aspect and going through the pros and cons, it encourages me to continue exploring multisite. 1. The entire site (and all sub sites) plus the database. 2. Each individual site (the root site, plus all individual sub sites) individually .. so they can be backup and restored (individually) if needed. 3. Each individual site (the root site, plus all individual sub sites) individually .. so they can be migrated (if desired) out to an individual site and domain. I haven’t really found a backup utility that will allow me to do these things. I previously had hoped that BackupBuddy would be the answer, but they no longer (at this time) support backups of multisites. And BackWPUp seems to do most of it (not all), but says “no guarantees” which makes me nervous. Any suggestions on how to accomplish the above 3 things … using WP Multisites? Backing up everything is easy – simply backup the file structure and backup the database in MySQL and you get the lot. Individual sites is a little more complex, and I have not seen anything that will do individual sites. In saying that, I have not looked for anything as I don’t need to specifically do that. Multi-site can generate a huge database. I think I would rather keep my databases small, manageable and responsive. The “one goes all” is scary thus a hackers bots playground.